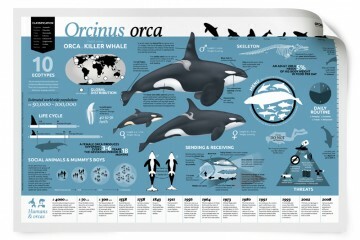 It‘s always sad news when a dead orca is found. But for scientists, this is also an opportunity to gain more knowledge about these animals. How does this work? 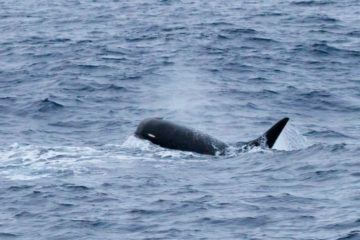 Biologist Lonneke IJsseldijk shares her experiences with the necropsy of an orca, that she conducted in January 2017. About two months ago, I temporarily moved to Scotland to work with the Scottish Marine Animal Stranding Scheme (SMASS). One of the major reasons was to gain more experience in doing necropsies on species which I am not familiar with. In the Netherlands, I run the stranding research at the Pathobiology Department of the Faculty of Veterinary Medicine of Utrecht University. 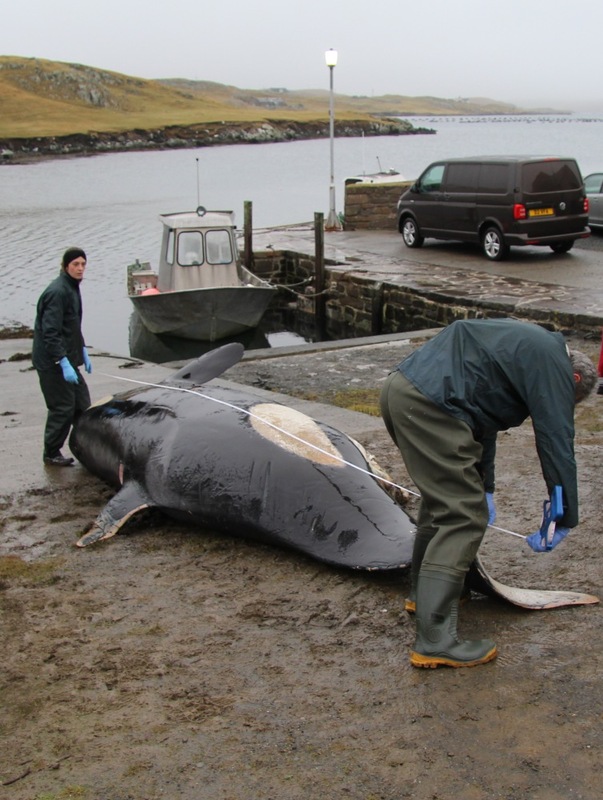 However, given our shallow waters this mainly involves strandings of small harbour porpoises. Although I love this species, dolphins and the bigger whales have always intrigued me and therefore the decision was made to spend some time ‘across’. I remember my boyfriend’s question when I left: “So what species would you like to get?”. There are always two sides to answer such a question, as this involves an animal’s death. People working on dead animals never wish for those to die and no one likes seeing a stranded whale suffer. However, every (healthy) population has births and deaths. Therefore, we hope that the latter are found, reported and collected in time to do a necropsy. One of the main reasons why we do what we do, is to learn why individuals die. This helps in understanding the threats populations are facing. 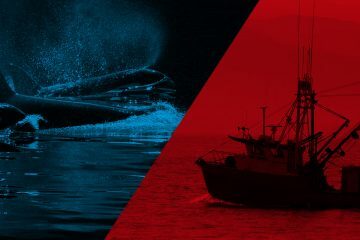 In the case of cetaceans, the main concern is causes of death which are human induced; those that we should take responsibility of. 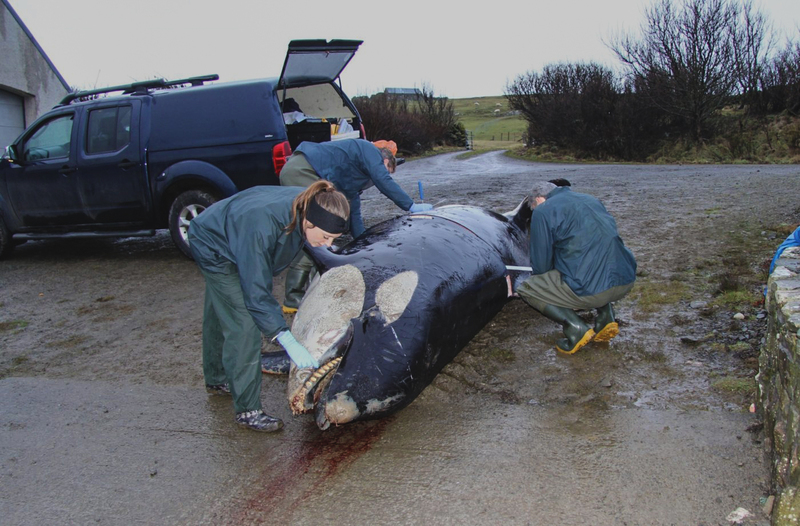 Without stranding research, we would not be able to assess the contaminant levels in whales, the plastic ingestion in dolphins or the prey shifts in porpoises. So my answer to that question was: a killer whale. 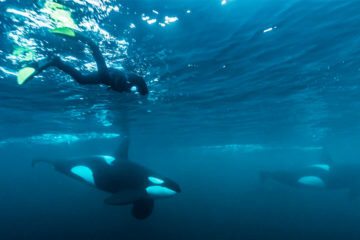 The entire world’s vision towards this particular species, also known as orca, fascinates me and I often wonder how so many people can relate to them. 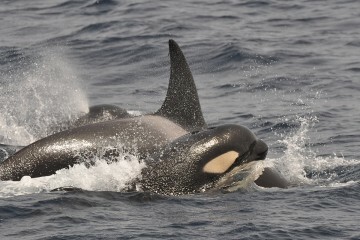 The chances of getting a killer whale stranding, however, are small – due to depletion of the population, especially in UK waters. It’s disturbing to know that less than ten individuals are part of this local population, which is unable to reproduce and very likely to vanish soon. 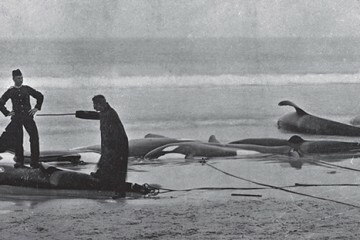 In my first weeks with SMASS, several cetacean species were found stranded including many of the oceanic species found along the North Atlantic coast. This gave us the opportunity to learn more about their lives and what caused them to die. I got the chance to help out during the necropsy of a rare beaked whale, several common dolphins and even a Pygmy sperm whale. Every day is a new day, and every report can be an exciting one. Thursday the 12th of January 2017 was one of those days. 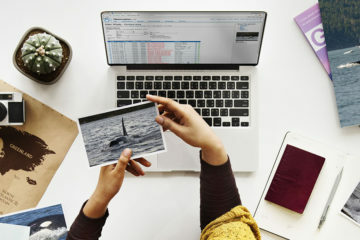 It was late afternoon when an email came in stating that someone ‘thought’ she saw a stranded killer whale on one of the Scottish Shetland islands. 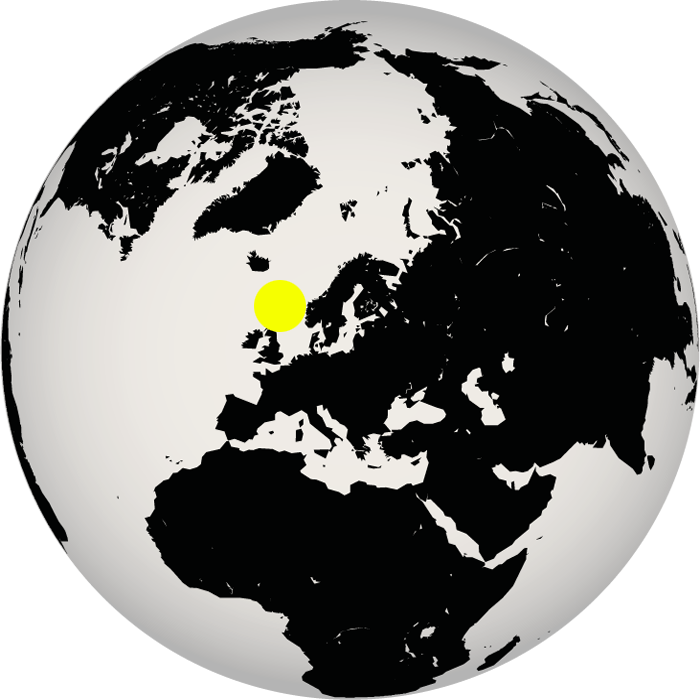 Shetland is far north, and some killer whales of the Icelandic population are seen there often. 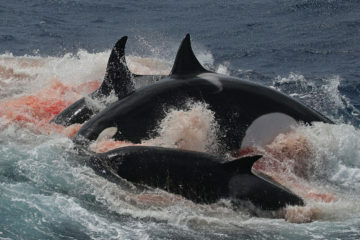 Locals were able to confirm the stranding the following day, while the first pictures were put up on Facebook. 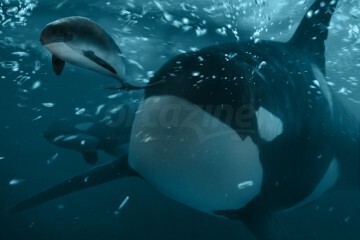 Instantly it became clear that the animal on the picture was a dead adult female in a fresh state, and that we needed to do whatever possible to get access to this orca. I learned that Shetland is one of those places that make me appreciate our Dutch coastline and situation so well. We have sandy beaches all over, which are very well accessible. Also, the small porpoises we find there are easy to collect and shift, eventually ending up in Utrecht on our necropsy tables, often the same day. Now, we were off for an adventure, which was likely going to take several days, involving not so much sleep and lots of smelly clothes. Two days after the species was confirmed, pathologist Andrew Brownlow, strandings coordinator Nick Davison, database manager Mariel ten Doeschate and myself entered the ferry on a truck loaded with gear, which was going to get us to Shetland after a rather wavy 14 hours. 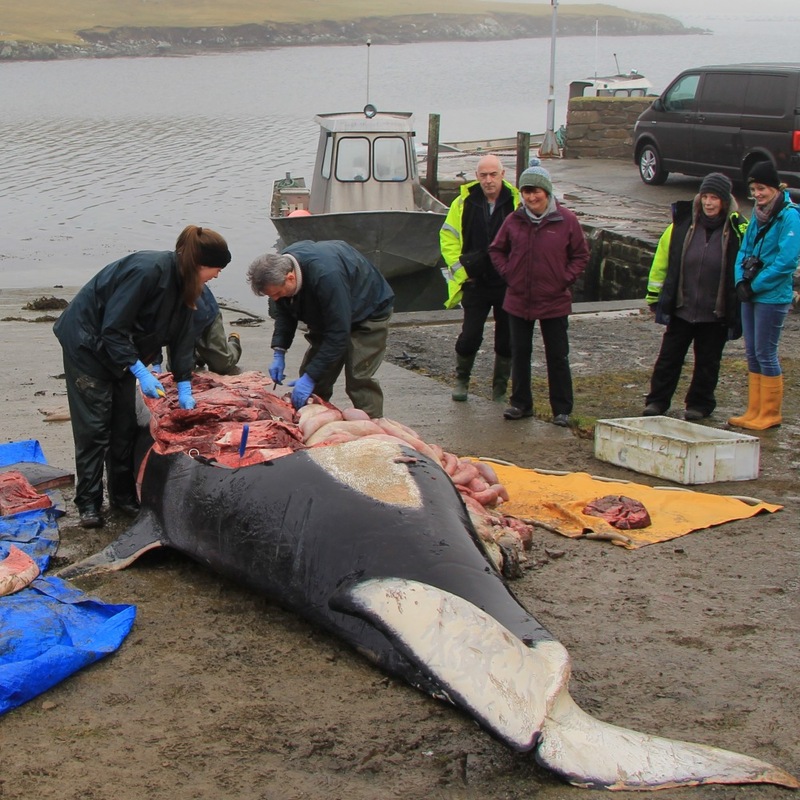 The killer whale was pulled off the small, uninhabited island and onto the ‘mainland’ of Shetland, where locals provided us with a sheltered location to conduct the necropsy. It was a calm day, little wind and some minor showers, but with a great view! And there she was, situated on her left flank and in total 5.2 meters long: an adult female killer whale and my first ever up close encounter with this species. Signs of decomposition where already visible and immediately the whole SMASS team did what they do best: dealing with a dead, somewhat smelly cetacean and talking to the public, which soon gathered around. There were dozens of things we wanted to do, to be able to get as much out of this opportunity as possible. 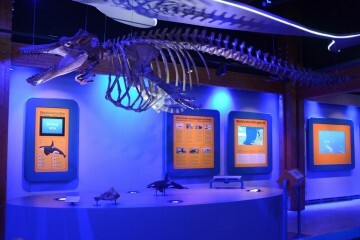 Pictures were taken of her dorsal fin and coloration of her body, in order to match her with any of the databases. Measurements were taken, samples were gathered and information was collected. Step by step, she was taken apart. Organ by organ were checked for abnormalities and notes were taken. 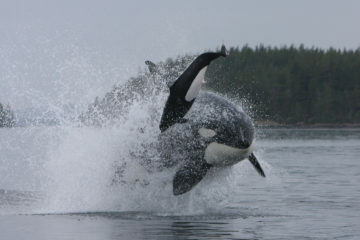 The killer whale appeared to be in a good body condition, but hadn’t recently eaten. I did find traces of hair in the intestines, which we believed was seal fur. It soon became clear that she had a generalized infection in her abdomen, affecting the stomach, kidney, liver and intestines. Besides, we are fairly confident she live stranded, from patterns in the lungs and bruising. 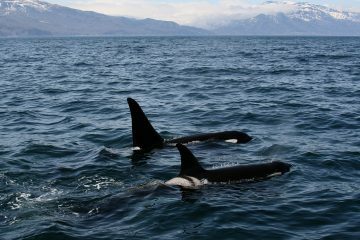 She had also recently been pregnant, but was found with a prolapsed uterus and probably has lost her calf prior to stranding. There was no indication of any human-induced trauma or entanglement. With decomposed carcasses and rare species, we often struggle to get a clear view on the cause of death due to post mortem changes. Here we were confident that the infections found caused severe deterioration and eventually death. Even if the animal was found alive, she must have been in severe pain and suffered of the abdominal infection, making it highly unlikely she would have survived any rescue attempt. At least, it is a relief to be able to shed some light on her final days and somewhat of a satisfaction, knowing she did not die of anything directly human related, but of natural causes. That evening, we took the night ferry back to Aberdeen, absorbing all experiences gained that day. The event had something really sad about it, knowing that an adult female was now gone from its population and unable to reproduce offspring. However, I have been positively surprised about the crowd that gathered around. They all seemed so interested in our work and thankful to be able to learn so much in just a couple of hours! And so did I, my first ever killer whale, which was anatomically not that much different from any other dolphin, but still so impressive with its distinct black/white pattern and sharp, big teeth. It made me appreciate this apex predator even more than I already did. 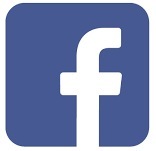 I am proud we were able gather all the valuable information and samples for further research. In the coming months, all additional testing will be done, including contaminants, life history, genetics, histopathology, and bacteriology, to make the most out of her death. Her skeleton will be displayed in the future at an appropriate location on Shetland. 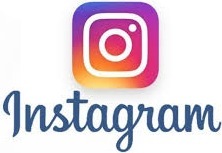 Click on the logos below to read more about the Scottish Marine Animal Stranding Scheme (website and Facebook) and the Strandings Research of Utrecht University or to follow Lonneke’s adventures on Instagram.